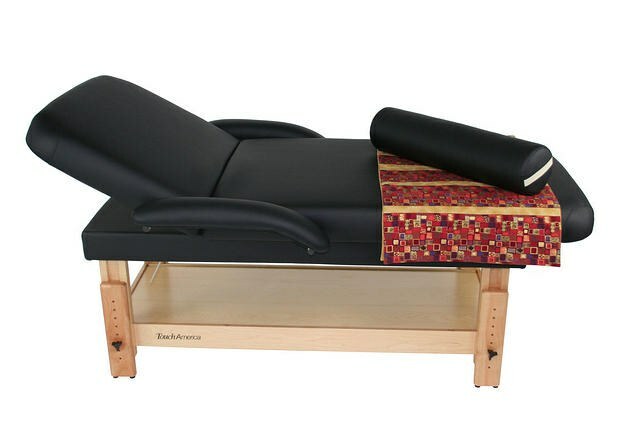 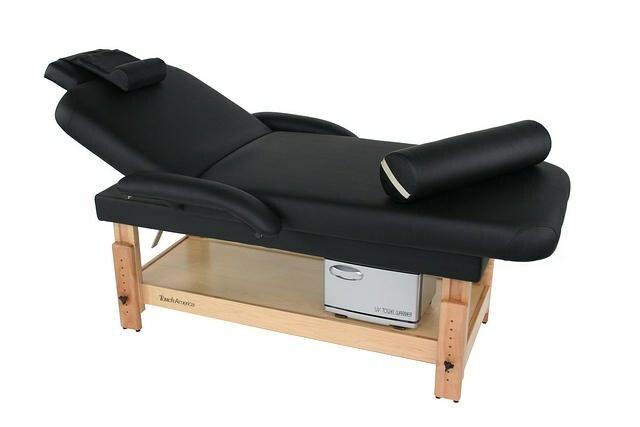 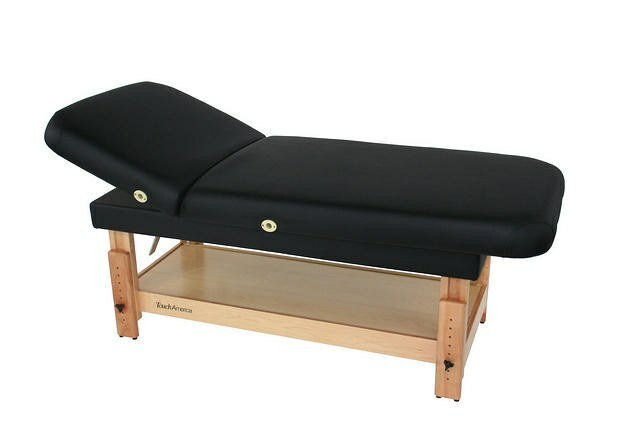 The Stationary MultiPro is one of TouchAmerica's most versatile spa & massage treatment tables - renowned for its value, durability, and ease-of-use. 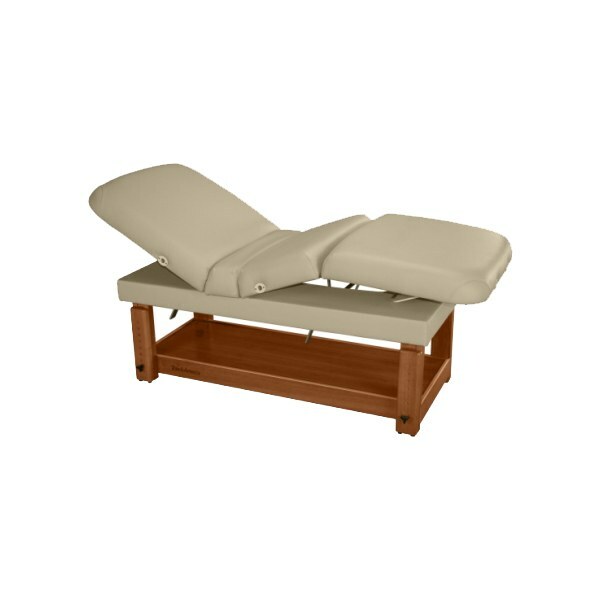 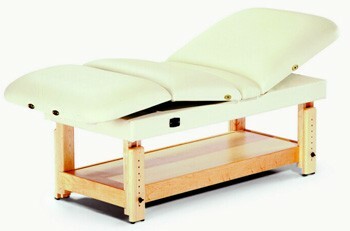 This spa & massage table is constructed from beautiful, solid Maple w/ clear finish. 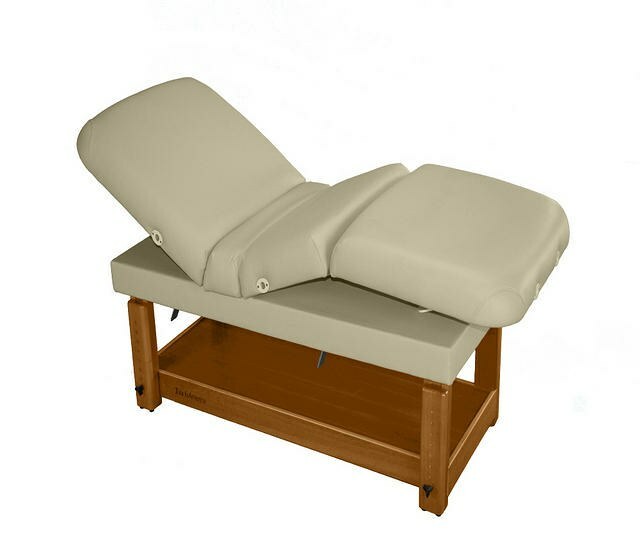 The classic design emphasizes strength and dependability which this spa & massage table has been delivering for more than twenty years. 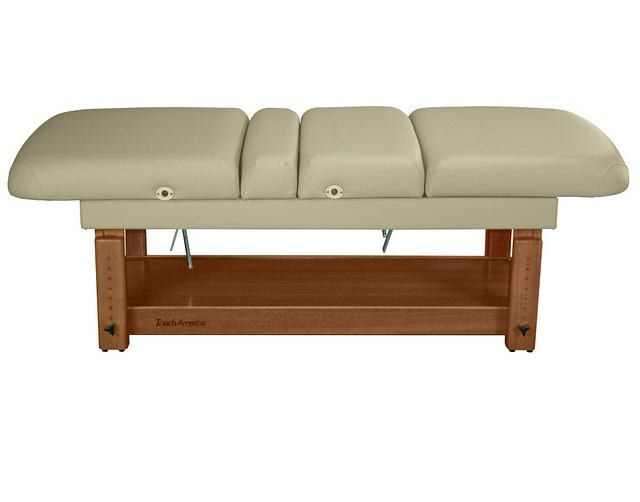 The very comfortable four-section top adjusts manually with paddle-release tilt mechanisms. 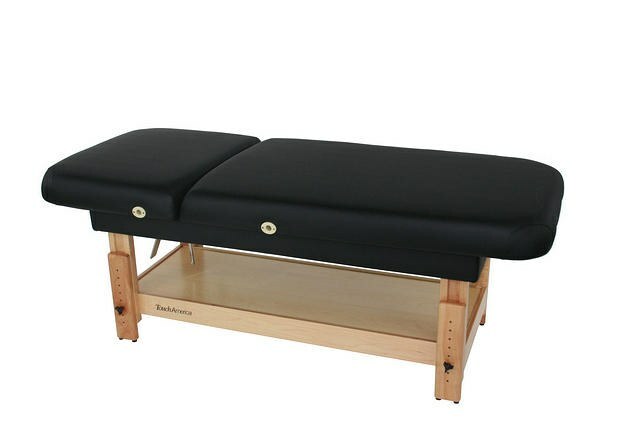 • Height range 24” - 33” •Top size 30” x 73” •Plush 4” triple-wrap foam top •Manual height and top adjustments •Built-in storage shelf standard •Optional Maple Hardwood Cabinet •Back raises to 80° •Static capacity 1000 lbs. 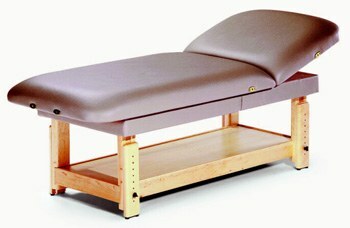 •Table weight 175 lbs.